Jerry Pattengale (PhD, Miami, Ohio) has some twenty books in print and numerous essays in key venues such as Wall Street Journal, Christianity Today, Washington Post, Books & Culture, InsideHigherEd.com, Patheos, Chicago Tribune, and Christian Post. He serves as executive director of education, Museum of the Bible (Washington, D.C.), and was one of its two founding scholars. He is University Professor at Indiana Wesleyan University (IWU), the first in its history, and has held several top administrative positions. Jerry has various international projects and awards and is editor-in-chief of the multifaceted, high-tech Bible curriculum with the Museum (approximately 20 print volumes forthcoming 2017-18, a gamified online version, and two digital App versions), which is currently being used by 100,000 Israeli public school students. 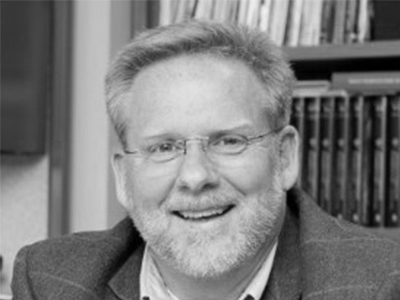 He has distinguished appointments at the Sagamore Institute (Indianapolis), Tyndale House—Cambridge, Gordon-Conwell Theological Seminary, Excelsia College (Australia), and serves on the boards of the Religion News Service (National Press Club, Washington, D.C.), Johnathan Edwards Center (Yale University), and as associate publisher of Christian Scholar’s Review. He is also executive director of Nationalconversations.com, which he co-founded with David Wright. Some of his honors include a National Endowment of the Humanities award to Greece, two Hoosier State Press Association writing awards (2015 and 2016), various professor-of-the-year awards, and the National Student Advocate Award from the University of South Carolina and Houghton-Mifflin. Jerry has written tens of millions in grants and has brought exponentially more funding through funded programs to worthy causes, and via a host of workshops nationally. He has spoken at many of America’s largest universities, for large groups of editors and publishers, and has appeared on various media productions (e.g., The History Channel), and has professionally filmed over 100 of the world’s top scholars. He co-developed the internationally acclaimed Odyssey in Egypt program, which shared time among the world’s top-ten most visited websites. His most recent books include one on the Dead Sea Scrolls, (original, first-time translations: managing editor with Emanuel Tov, Brill, August 2016), Telling the Truth with a Smile (a lighter book from his 20-year Buck Creek newsprint series, 2016), and Faith Made Real (WPH, Feb, 2017). Books under contract include The World’s Greatest Book (with Lawrence Schiffman, Worthy Publishing), Global Impact Bible (Worthy Publishing), and A New Foxe’s Book of Martyrs (with Johnnie Moore, Tyndale House Publishers). He’s worked directly for three of the nation’s prominent families, with lessons captured in “The Bible and Business,” The Devoe Report, Devoe School of Business (Feb. 2017). His books with McGraw-Hill, Jossey Bass, and USC (2000-2010) helped pioneer Purpose-Guided Education, especially focused on college sophomores (which generated an entirely new research field). Jerry helped Terry Franson (APU) co-develop and direct “The Night of Champions” in Southern CA, a program which utilizes world-class athletes in sharing to around 4,000 teens annually—now in its 32nd fully-funded year. He graduated from Harrison High School (IN) at 16 years of age, and homeless, a story captured in the PBS documentary Leading the Way out of Poverty (WIPB Affiliate, 2006).